Home eLearning Is Training and Development the Right Career for You? Training and development specialists are in high demand. These days, more companies hire people of this profile to train their employees, make their teams act like one, and help them increase their productivity. Therefore, if you are a student, a graduate, or working already but still hope to find a job after your own heart, learn more about this occupation to see if this is a career you should pursue. 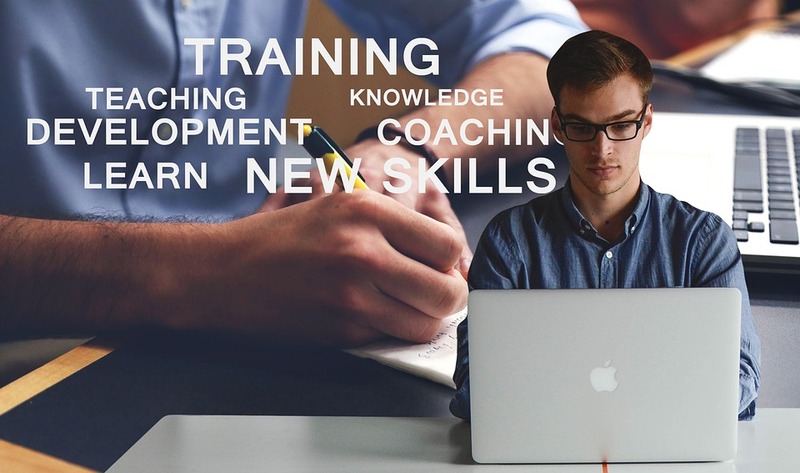 What do training and development specialists and managers do? In the United States alone, there are at least 252,000 training and development specialists and around 33,000 managers who work in this direction. This proves that they are in high demand. In fact, by the year 2024, the authorities are planning on increasing these numbers by 7%. Thus, you can easily get a position if you are the kind of person who fits the requirements for the job in question. Choose and assign coaches to deliver material to the staff. As you see, these are responsibilities that require the particular type of character and a certain level of knowledge. That is why let’s see what personal traits one should have to make it as a brilliant training and development specialist. Considering that you will work with people most of the time, it is better if you are an extrovert. If you find communication delightful and you don’t get exhausted by the necessity to interact with a great number of people, then this might be something you should opt for. However, if you are an introvert, it does not mean you cannot make it as a training and development specialist. It means that you should probably look for a chance to train with the aid of online platforms or by other means. There are plenty of ways to do it, considering the advanced technologies we have today. So, don’t get frustrated, you can still make it as a training and development specialist with the use of alternative technologies. Training and development in a company often mean that you will have to teach staff how to use certain tools to increase productivity. That is why being computer literate is a must for you. On top of that, you will need to come up with superior ways of delivering your message to the employees using the technologies mentioned above. So, knowing and loving to work with these technologies will be a great advantage for you. Also, you can benefit from already existing training programs via online platforms and learn management systems. Technology skills are vital for this as well. You will spend a lot of time planning the training sessions, surveys, program updates, etc. That is why the ability to plan ahead is of great importance to you. It is not an easy task to put all the details together and make them work for the benefit of the employees. So, you must to either have this skill or be able to develop it. Working with people means that you will have to add changes to the plans you made based on the progress the employees make. To do that, you have to be flexible and able to adjust to the different situations. And also, you will need to change plans and strategies, once you find out that there is a better way to train your employees. These skills are essential for creating strategies and long-term plans for the company. Training and development specialists need to analyze and process the results they get after training, evaluate the quality of the material and set strategies on how to achieve what was planned with the resources available. It goes without saying that trainers need to be good at speaking and delivering necessary material to the employees. Therefore we would recommend you to improve your skills of business writing because you will often speak to an audience. As we know, all good improvisations carefully prepared in advance. Speech without preparation, especially of a novice speaker, will almost certainly be a failure. On the other hand, these skills are critical given that this occupation often involves working in a team, which can be stressful unless you have strong communication skills that can help you settle the disputes and find a way out of the difficult situations. Problem solving, which, by the way, is quite important for this position, requires a lot of thinking in new fresh and extraordinary ways. Besides, people will expect you to come up with great and unusual ideas on how to teach in a creative way. Therefore, the ability to think creatively and deliver even the dullest and well-known information in fun and the interesting way will make you stand out from a large group of training and development specialists. These people need to be decisive and ready to take up challenges. Trainers have to set a perfect example of a leader the staff will want to follow. Otherwise, all the attempts to improve the productivity or change the corporate style will have zero effect. All in all, being a training and development manager is fascinating, This occupation will stimulate your personal and professional growth as well. However, to fit the position, you need to have certain qualities. The most important ones that will increase your chances of being a brilliant professional in this area are listed above. Does it sound like you? AUTHOR BIO: Lori Wade is a freelance content writer who is interested in a wide range of spheres from education and online marketing to entrepreneurship. She is also an aspiring tutor striving to bring education to another level like we all do. Lori is used to handling many writing orders at the same time and as she likes sharing her ideas and experience, she decided to write a great article for you to show how multiple tasks should be dealt with. If you are interested in writing, you can find her on Twitter or Google+ or find her in other social media. Read and take over Lori’s useful insights! Next articleWill Crypto-Currencies replace Cash?